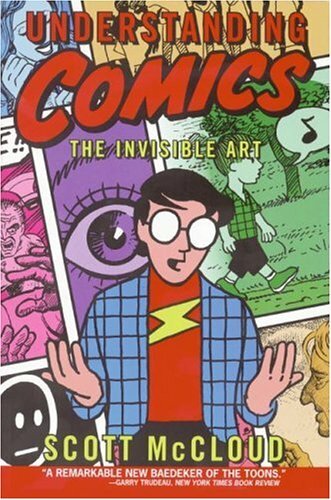 Found a gem in the form of Understanding Comics: The Invisible Art at my local library, a comic book about creating comics by Scott McCloud. It's an interesting book fill with lots of insightful information on drawing comics. You'll find out about the concept that goes behind how information is processed by people through examples themselves. It's an entertaining and enlightening book recommended beginner comic creators. This book is highly rated by readers on Amazon. You might wanna check out Reinventing Comics from the same author. Borrowed both these excellent books from NLB as well. all the books from Scott McCloud are precious gems for those who are willing to get further knowledge about comic books theory.